Paolo Panganiban is a photographer from the Philippines who specializes in "cosplay" photography where a model disguises herself as a fictional character. This page features two of his shoots. 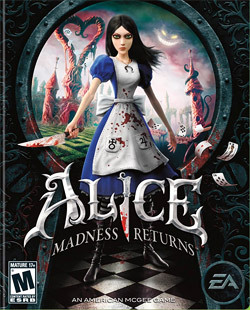 The first two images are inspired by Alice Liddell from the game "Alice: Madness Returns." The second two images are from a second photoshoot, featuring the character Rider from the anime "Fate Stay Night." I have chosen to research Paolo as he is my main inspiration towards this type of photography. 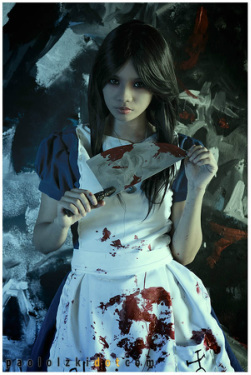 The photograph to the left features one of Paolo's models, Mimi, dressed as the character Alice Liddell, holding the "Vorpal Blade." The main focal point of this photograph is the blade, stained with blood. This is to draw our attention to the horror aspect of this photograph, which stems from the blood and gore that is featured in the game. I particularly like the use of lighting coming in from the left hand side of the model, illuminating half of her face and majority of her apron. This emphasizes the calm, yet focused, expression on the models face, and draws our eye to the blood on the apron below. This photoshoot was taken in a old abandoned building, using a painted background that was prepared beforehand. I think the photographer's aim in this particular photograph was to show the sinister nature of the character, highlighted by the both the expression on her face and the bloodied props. He has used the background in order to give a impression of "chaos." Using a abstractly painted and busy background against the composed nature of the model, there is a sense of both calamity and tranquility. In this photoshoot, there is a strong use of lighting in both of the photographs, and this is something I would like to experiment with in the future. This shoot used two photo lamps with wireless flash in order to achieve the lighting. On the first photograph, the lamp was placed at a 45 degree angle to the left of the model, and in the second photograph it was placed facing down on the right hand side of the model. In this second photograph, I like how the model has been positioned. Having her lying down on the floor would usually suppose a vulnerable state, however with her looking directly at the camera with a straight face, there is still the deadly feeling to this photograph. By using cosplay photography, Panganiban has successfully turned fiction into reality by bringing this particular character to life. Considering the props used in this photograph, the cards are very important. Just as in the tale of Alice in Wonderland, the game features the guards from the Castle of Hearts. These guards have the body of cards (Please see reference below) and are the enemies in the game of whom you have to fight. The cards scattered around her have little significance, as if they are the guards from the game. In particular, two of the cards beside the model on the left are torn, as if she has cut them with her blade. However, the five cards in her hand are that of the 10 to the Ace of Hearts, three of which being characters that feature in the game as stronger opponents. Comparing this image to the last one, I believe this one is darker and is much more interesting. The first photograph feels like nothing more than a sinister portrait shot, however the second has a far deadlier feel to it, as if Alice herself has just appeared without warning. 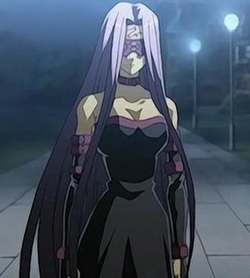 The second shoot I have decided to include in my research is the character of "Rider" from the Japanese anime series "Fate Stay Night." These photographs use the same model from the previous shoot of Alice. I chose to add this second shoot to my book to show the versatility of the photographer. Instead of the theme of sinister gore, this shoot focuses on a "glamour" approach to cosplay photography. This photograph to the left features the model "Mimi" dressed as Rider, holding one of the weapons that is featured in the anime. In cosplay photography, attention to detail is key. Whether it be accurate props, or even tattoo's, the photographer and model will work together to achieve a lifelike representation of the original character. I particularly like the use of colour in this photograph. The background has been photoshopped in order to achieve a likeness to the colour of the model, meaning that the eye is drawn to the only colour that doesn't match. The red of the lips, and the tattoo cause our eye to be drawn to the models face. Highlighting the lips draws our attention to the beauty of the character, with perfect skin tone and flawless composure. In photography, this is often aimed towards the male gender in order to raise the popularity of the model. However, with cosplay, this merely highlights how beautiful the original character is. Finally, I like the composition in this photograph. The model takes up the majority of the image, creating a well balanced look to it. Having the camera slightly angled makes the photograph look much more interesting, rather than the basic straight-on shot. This second photograph from the shoot features "Rider" in a much more natural environment. The background hasn't been photo-shopped to match the main colour scheme of the cosplay, and instead remains a lush green colour. This acts as a border around the main subject, with the shrubbery in the foreground obscuring the bottom part of the photograph. I believe the photographer did this to create the feeling that the model is completely surrounded by the woodland, almost as if it is acting as a barrier between us, as the audience, and the fictional portrayal of the character being cosplayed. In conclusion, I find Paolo Panganiban's work to be very experimental, with each cosplay having a setting that matches the character perfectly. I would like to experiment with his methods of lighting from the first shoot of "Alice" and his use of the perfect background in his second shoot. I also would like to experiment with changing the background of my photography in order to match the colour scheme of the model. In this section are images of the characters being cosplayed. Alice Liddell from "Alice Madness Returns." Rider from "Fate Stay Night."